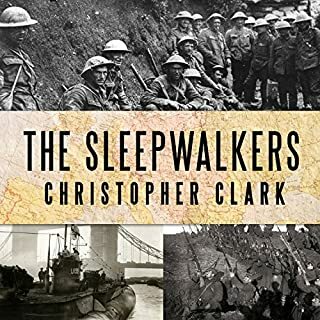 I am making my way through as many Audible books about World War I as I can in this anniversary year (2014). I started with Margaret MacMillan's for deep background and it fulfilled its purpose admirably. The narrator spoke clearly enough that I could listen at 1.5 speed and understand everything. I especially valued the scope of the book, as it covered cultural and general societal issues as well as the political and economic and military. 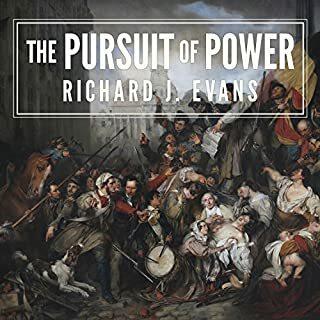 The portraits of the important people, from Edward VII to the Kaiser and the Tsar, Edward Gray, Moltke, Konrad, and the French were vivid enough to help them come to life. The writing is above average but not quite literary. Occasional references to more recent events, from the Cuban Missile Crisis to the American response to 911 actually annoyed me, though many readers might find them interesting. After listening to this book I went next to Barbara Tuchman's "The Guns of August." 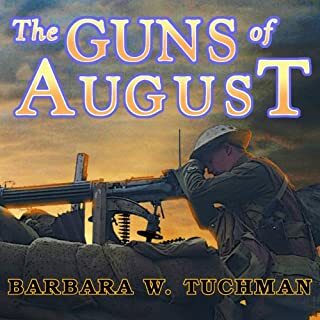 Tuchman is an outstanding writer and her coverage of the battles from August 4 through September 7 of 1914 is riveting. Tuchman is criticized for some historical errors and I may detect them as I turn to the other books on my list, but reading it made a helpful match with the MacMillan book. I recommend listening to both. 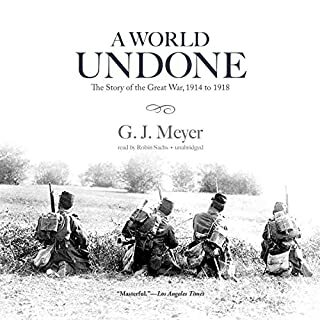 Now on my list is "A World Undone," by G. J. Meyer after which I will listen to Paul Ham's 1914: The Year the World Ended, and then Max Hastings' Catastrophe 1914: The Year Europe Went to War. 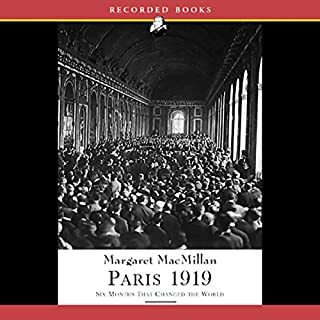 Then I will listen to MacMillan's history of the aftermath of the war with Paris 1919. I will update this review if possible so I can compare all these available titles. 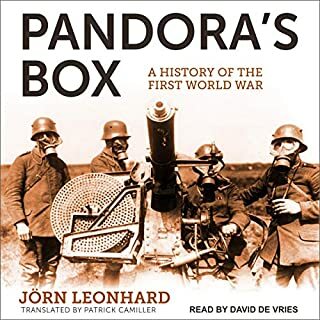 I've read and listened to several books about the origins of World War I; this one is the best I've encountered so far. Much of the territory is familiar, but MacMillan goes back further, provides more detail and context, and weaves it into a fuller narrative than most of the others. She shifts seamlessly between lively portraits of individual leaders and analytical and statistical accounts of military and social changes. Many books mention that Russia lost a war with Japan in 1905 and that major civil unrest in Russia followed. MacMillan goes into detail about both, explaining causes and consequences. Many books mention that Paris was distracted in the summer of 1914 by the trial of Henriette Caillaux, who murdered the editor of Le Figaro. Macmillan tells us more about her husband, Joseph Caillaux, and his prominent role in foreign affairs; the scandal of the trial made it impossible for him to act as a voice of restraint in the crisis. The first part of the book is more geographic than chronological. MacMillan takes us on a tour of the European capitals, introducing us to the pathetic Kaiser Wilhelm II (described by someone as a warship at full speed without a rudder); the happily married and largely detached prime minister of Great Britain, Lord Salisbury; rising men like Edward Grey, Joseph Chamberlain, William Churchill and Lloyd George; the tragically clueless Czar Nicholas II of Russia and his family's involvement with the unwashed Rasputin. We spend time at Queen Victoria's Diamond Jubilee (which she enjoyed immensely but refused to pay for), and at the 1900 Paris Exposition. We hear about the many international conferences that tried to promote peace or at least establish rules for "civilized warfare." And she describes the new factor in governance that sometimes hamstrung a country's leaders: the rise of newspapers and the nebulous but powerful force of "public opinion." And terrorism: the president of France, two Spanish prime ministers, King Umberto of Italy, the wife of Emperor Franz Joseph, the uncle and grandfather of the Czar were all murdered in terrorist attacks. It was not exactly a balmy time. The second part of the book is a fascinating narrative account of the many crises that preceded the outbreak of war: the two Moroccan crises; Austria's unilateral annexation of Bosnia; the two Balkan wars; the bloody coup in Turkey - each of them playing a role in desensitizing Europe to the prospect of universal war. Germany, fearful of being encircled by enemies, drew up a war plan that violated international law left and right - and the civilian leaders abdicated their responsibility; they failed to rein in the military. Many books have traced these events, but MacMillan's book is the clearest, most detailed, and most absorbing I've read. Richard Burnip's narration is excellent. If you want to understand the why as well as the how, this is a great place to start. Would you listen to The War That Ended Peace again? Why? What other book might you compare The War That Ended Peace to and why? I would compare it favorably to August 1914. Both concern WW1 and both are by excellent writers. This one is much broader and has more of a philosophic and historic goal. August 1914 is more simply narrative, it tells what happened. This tries to get at why it happened. It impressed on me again (as though I am not reminded of it every single day listening to and reading the news) that our leaders are human -- and sometimes leave their humanity behind and become insane or simply stupid. One thing I especially appreciated about this book as an audio book was that the author is constantly reminding the lister of who any given person is and where they fit into the story. This is good for reading but for an audio book, in which one cannot easily flip back 10 pages, it is essential. When Bethman-Hollweg shows up, the author reminds you that he was the Chancellor of Germany. I found this enormously helpful. (In contrast, the book Heretic Queen has just as many characters but one was almost never reminded who they were after their first appearance. )This was simply a wonderful history book, informative and very, very thoughtful. Margaret Macmillan is Canadian historian who is teaching at Oxford University. She is the great-granddaughter of David Lloyd George, Britain’s wartime Prime Minister. I recently read Max Hastings “Catastrophe 1914”. He and Macmillan are coving the same nine months leading up to the war. Hasting covered the role of general staff of rival governments showing a step by step documentation leading up to war. MacMillan on the other hand covers the diplomats and politicians showing step by step how they had avoided war numerous time and why this occasion they failed. Even though Macmillan’s book is scholarly it is very readable. She has the ability to evoke the world at the beginning of the 20th Century, when Europe had gone 85 years without a general war between great powers. In these years there was an explosion of production, wealth and a transformation in society and the way people lived. Food was better and cheaper, dramatic advances in hygiene and medicine, faster communications including cheap public telegraphs. Macmillan asks “why would Europe want to throw it all away?” In the middle of the book Macmillan considers the larger context within which the final approach to war occurred. She is good at painting the intellectual background of “social Darwinism.” The author does a good job dealing with the July crisis and distributes the responsibility widely. It was created by Serbia irresponsibility, Austrian vengefulness, and the “Blank check” the Kaiser issued to Vienna. She recognizes how Britain’s, French and especially Russian actions exacerbated the crisis and rejects the view that this was a German pre-emptive strike, a “flight forward” from domestic strife into war, while arguing that German politics recklessly and knowingly risked war. I think she is right on both counts. Macmillan makes it clear wars are not inevitable there are always choices. Richard Burnip did an excellent job narrating this 32 hour book. This book is a must for anyone interested in WWI history. What did you love best about The War That Ended Peace? I have read numerous pre-Great War books, beginning with Barbara Tuchman's "The Proud Tower" many, many years ago. This book gave me a completely new insight and lots of new details that I had never heard. The focus of the story is not war, per se, but how the great powers lost the peace. I highly recommend it to anyone interested in why the 1st World War was fought. Yes. Ms. MacMillan is a marvelous historian and this book does not disappoint. Moreover, the narrator is excellent. A real pleasure to listen to. How the world became what it is today. Yes, there are some interesting tidbits in there that are worth revisiting. I read this as part of a "trilogy", "Paris 1919" also by MacMillian which chronicles the treaty of Versaille as well as "The coming of the Third Reich" which deals with the rise of the Nazi Regime in Germany. All three of these books together paint a rather intriguing picture on how the world ended up the way it is today. What does Richard Burnip bring to the story that you wouldn’t experience if you just read the book? Nothing in particular. He does a good job of reading the script, but as it is mostly a factual book not fiction, he's not "creating characters", which is good. It gives the book a more "historical" tone. Several, mostly because the book makes it abundantly clear how a bunch of small decisions can lead to very big changes. 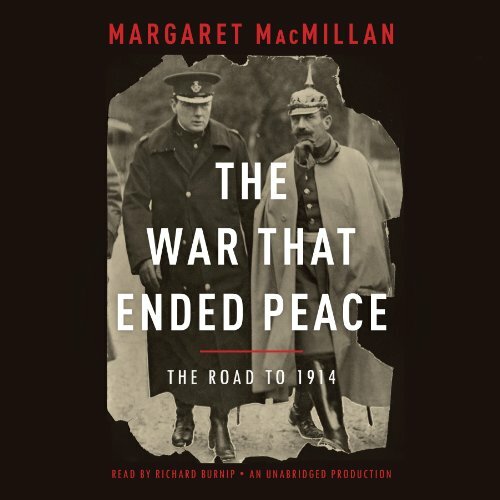 Where does The War That Ended Peace rank among all the audiobooks you’ve listened to so far? One of the best histories. The author's Paris 1919. In both books MacMillian does an excellent job both describing the overall state of Europe at the time and describing the personalities responsible for the course of events. Have you listened to any of Richard Burnip’s other performances before? How does this one compare? Some of the comments complain about the many pauses in the narration. After a while that did get annoying. So I increased the speed of the Audible app on my iPhone to 1.25x and it sounded "normal". The only fault with the book is the author's unnecessary comments concerning present day politics and events. Some of the comments are more her opinion than fact. They distract from the historical narrative and make one wonder whether some of her historical reporting is also just her opinion. This is an historical narrative that reads like a thriller and makes one feel we are living the events but at the same time allows us to understand them from a broader and deeper perspective. I wish all history books were like this! Great narration to boot!